Some accounts claim that Clem first had been permitted to join the Twenty-Fourth Ohio Volunteer Infantry. Other sources claim that Clem joined the Twenty-Second Michigan Infantry Regiment when it marched through Newark. Since Johnny Clem was too young to join the army officially, officers of the Twenty-Second Michigan contributed money to pay him a monthly wage. Soldiers provided him with a gun and uniform and trained him to be a drummer boy. 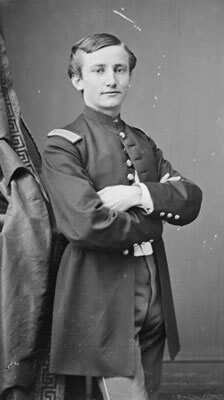 Clem was finally allowed to enlist in the United States Army in May 1863, when he was only eleven. In the meantime, Clem had already participated in numerous battles and had become quite famous.